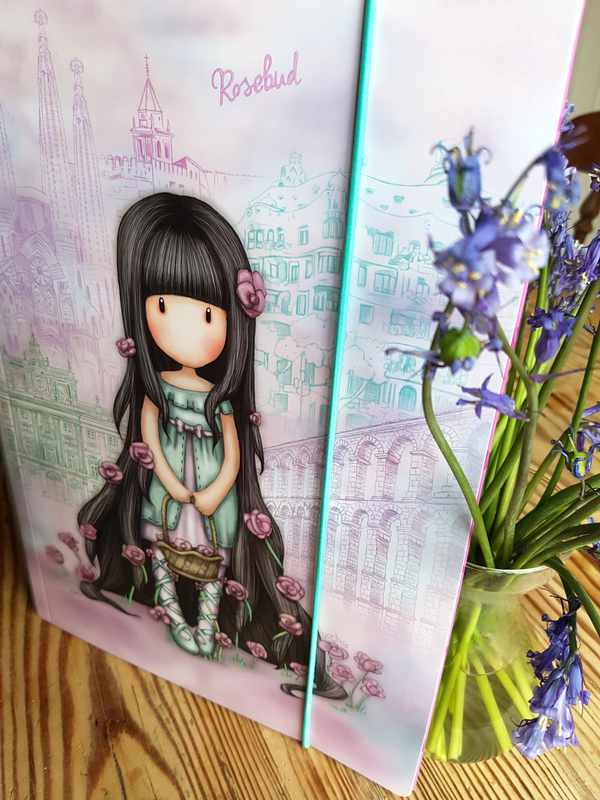 Oh we just love this A4 folder in the Rosebud design from Santoro’s Gorjuss Cityscape range. We have talked about this range before here on Littlestuff and as you will probably remeber each piece in the Cityscape range has a different cityscape behind each character featured. This very handy A4 folder is just perfect for keeping loose sheets and papers tidy, and it’s just soo pretty too, bonus! The oh-so sweet Rosebud artwork features on the front of this fab A4 folder in lilac and teal hues, set amongst iconic Spanish landmarks. Open the folder using the handy elasticated closure to reveal stylish stripes, stars and hearts printed on the interior, with two sturdy tabs to keep papers safe and secure, just perfect for school, college or work. This fabulous folder retails at around the £7 mark but you can find the entire collection of Gorjuss Cityscape products available on Amazon, well worth a meander over we think!